Would you consider making a gift in Bill’s honor today? You can donate immediately, safely and securely on the righthand side of this page, or you can make a pledge here. 6:25 p.m. Up one last hill – and a jubilant finish! 56 miles in one day. Thanks for all the support from the Salama family and everyone’s who’s followed Bill – whether for months, weeks, or even just today. 5:00 p.m. Back at the Bohan parking lot one more time. So many friends and family here for the home stretch. Stan Weber ready for the final few miles. 4:00 p.m. Lots of tailgaters out — and a lot of them have yellow and purple on. 3:30 p.m. What’s a little rain to slow us down? 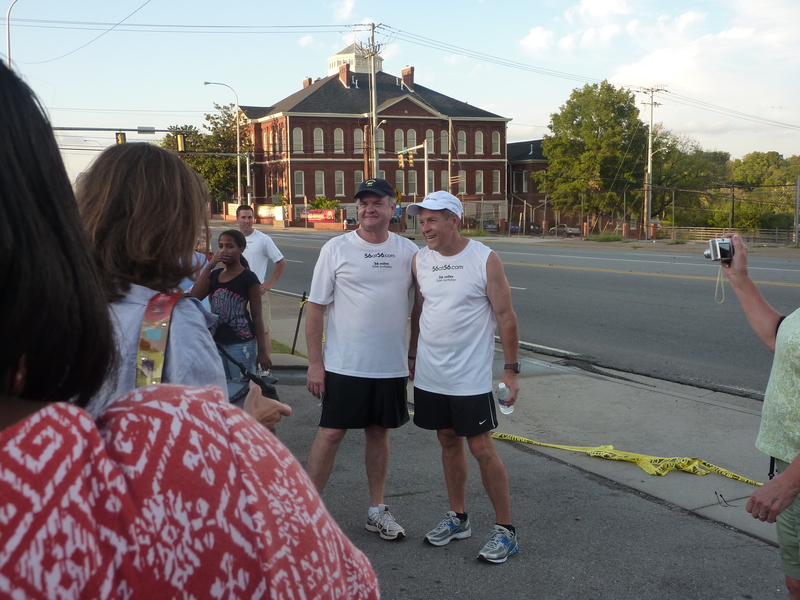 Don’t forget the Finish Line Celebration at Salama Institute from 3:30 – 7 p.m. Rain or shine! 2:30 p.m. On a quick 3-mile jaunt. Coming back by the checkpoint before single digits left! 2:00 p.m. Salt tabs and water. Back at the rendezvous point in the Bohan parking lot. 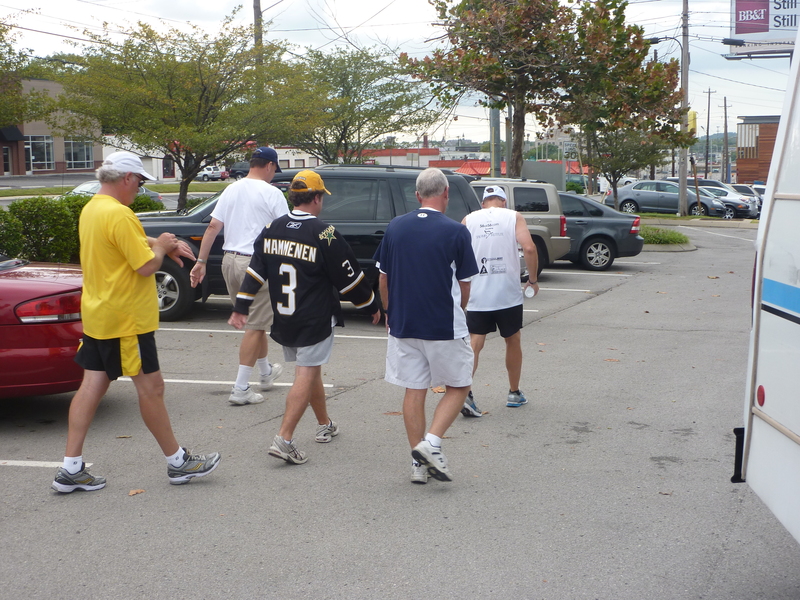 Vanderbilt area again next – time to hit up the tailgaters. 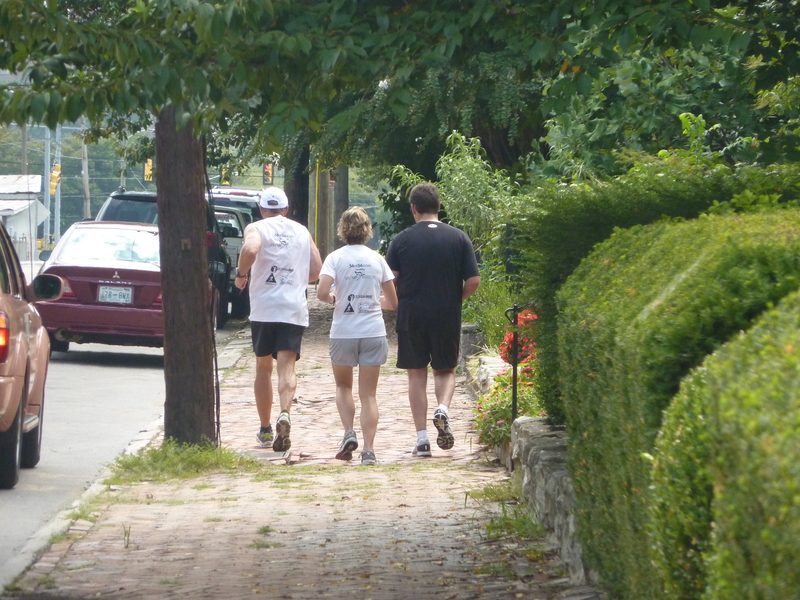 1:00 p.m. – Through the streets of historic Germantown. 42 miles in the books. 12:30 p.m. – At the end of the Bicentennial Mall across from Farmers Market. Hot, but keep on truckin’. Noon – Headed back out, going down Charlotte to hit the Farmers Market and Germantown areas. 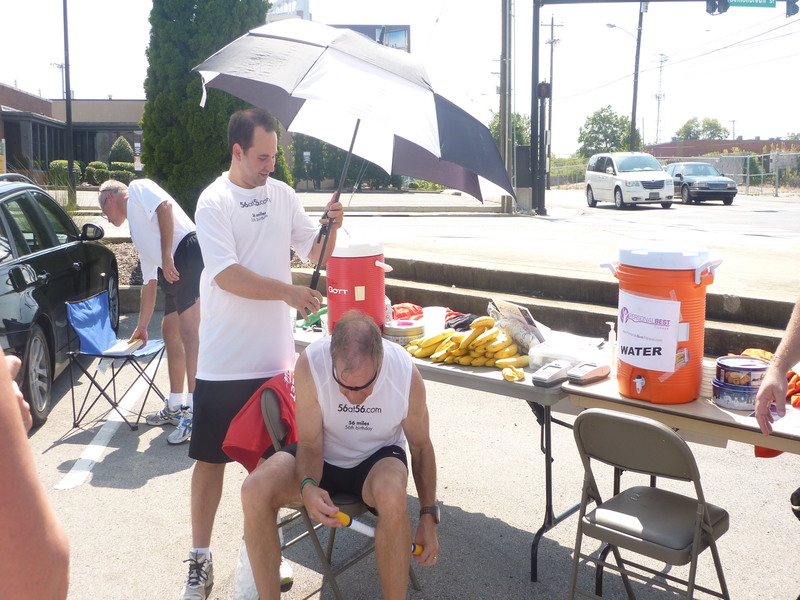 11:40 a.m. Back at the checkpoint to meet up with new runners and drop some off. 39.25 miles down. Home stretch coming up. Not too late to run with us. 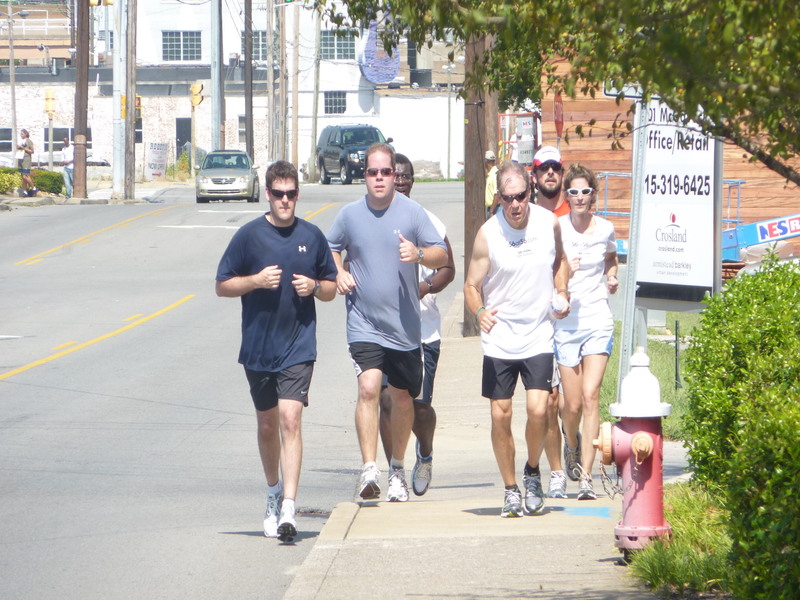 Check out “Run With Me” on this site. 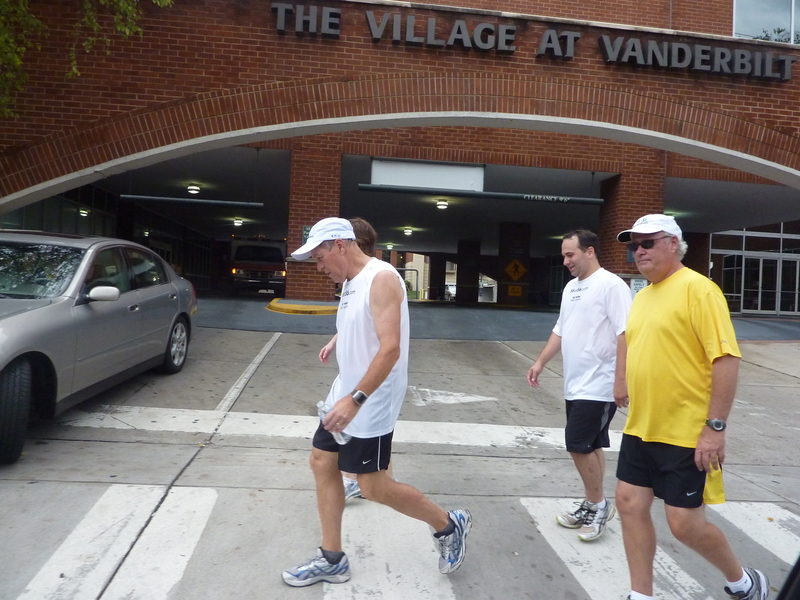 11:20 a.m. Cruising down West End past the Vanderbilt campus. Lots of LSU fans in town. 37 miles into the run. 10:55 a.m. Taking another lap around the Parthenon in Centennial Park. 10:20 a.m. 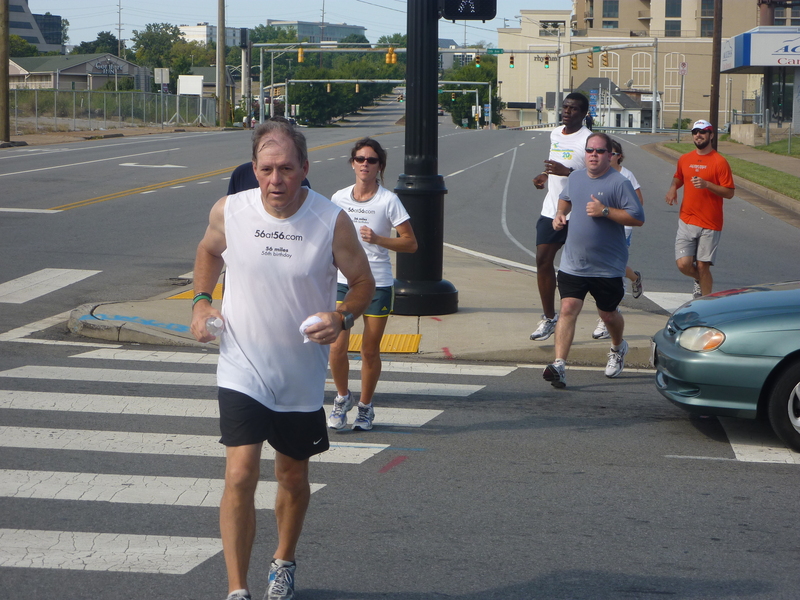 Headed back out, running through Centennial Park and the Meharry and Fisk areas. Check out “Run With Me” if you want to join up. 10:00 a.m. Checking back into the rendezvous point. 34 miles so far. Meet up here throughout the day or see us at Salama at the finish line. 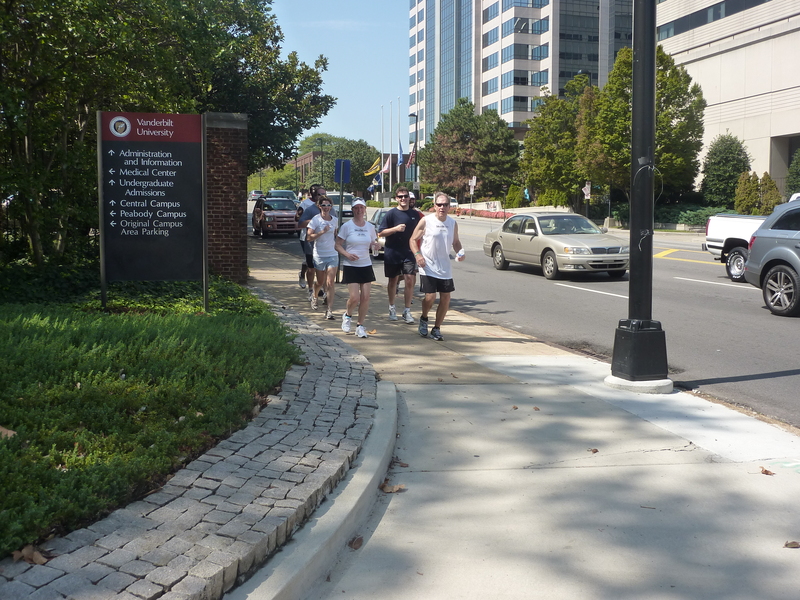 9:30 a.m. Cruising through Belmont campus, making our way back to the Gulch. About 33 miles down so far. Wonder how many students are even up yet? 8:50 a.m. Bill is at Clifton and Belmont (near Woodmont) heading south. 8:30 a.m. Bill checked in again around 7 and then at 8 a.m. to pick up some runners and the trail vehicle. At that point, he had run 28.7 miles…more than a marathon already! 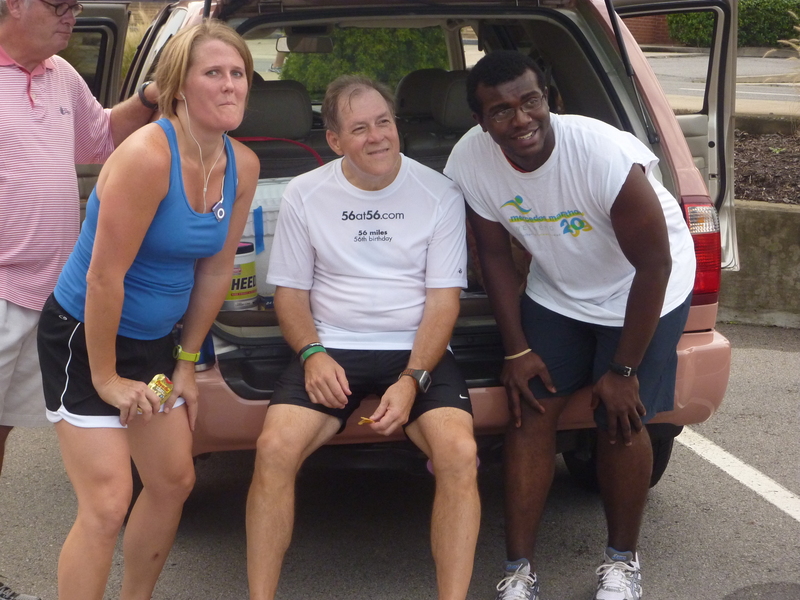 One runner had never met Bill or heard of Salama…she just saw us out there and knew something big was going on! 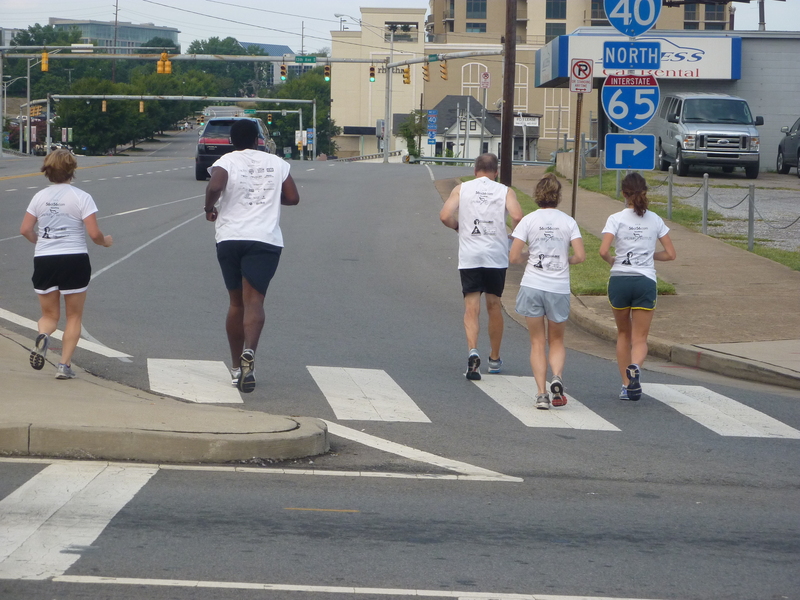 He’s currently running through Music Row and Edgehill and should be back at the Bohan parking lot between 10 and 10:30. 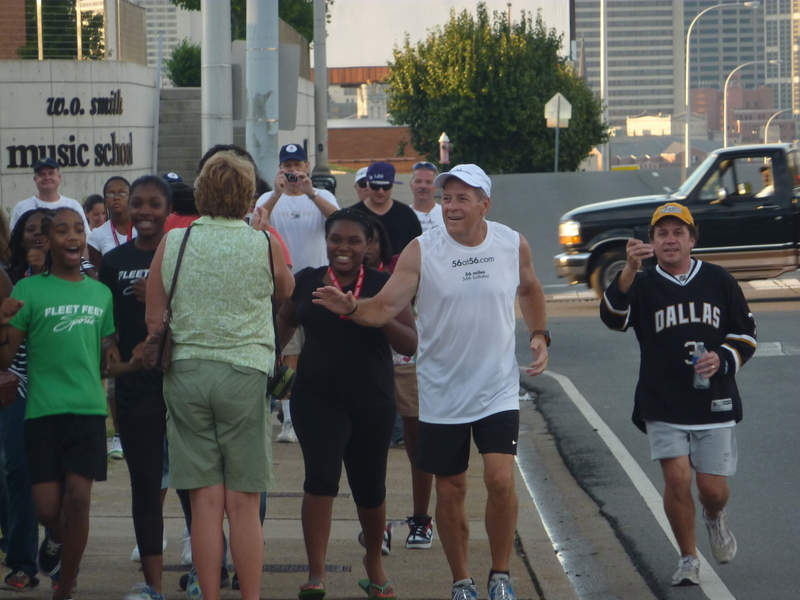 Check out the “Run With Me” section to see how you can catch up with him or get updates via phone. 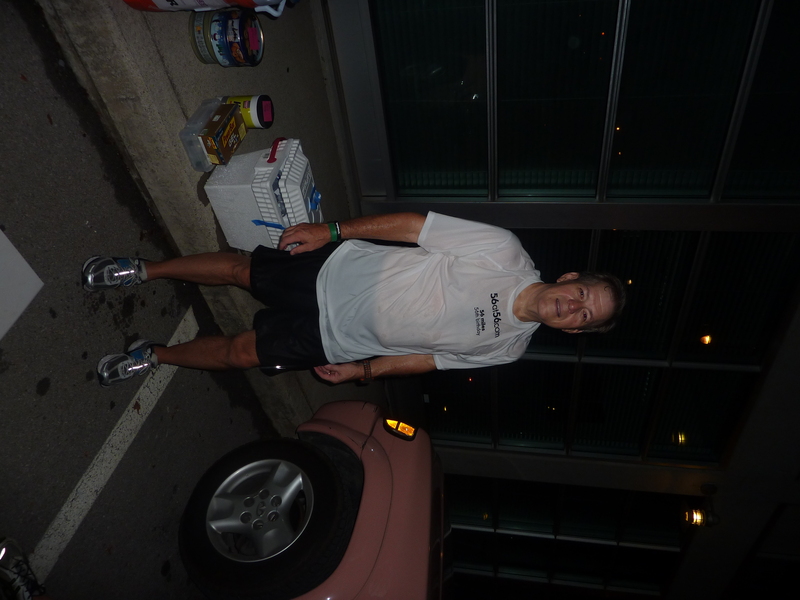 5: 15 a.m. Bill checked into the Bohan parking lot around 5 a.m., close to 17 miles into the run. 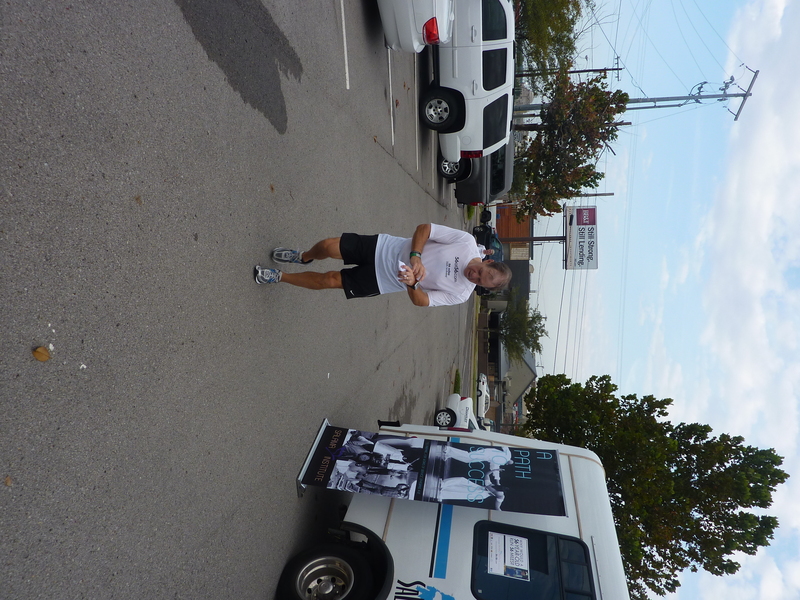 He’s currently running through East Nashville and will be back at the checkpoint around 7-7:30 a.m. this morning. See the “Run With Me” section for more details. Come out to the finish line event at The Salama Institute from 3:30-7 p.m. on Saturday, September 11. This free event includes music, games, inflatables, food and more! A couple of days ago I turned 56. 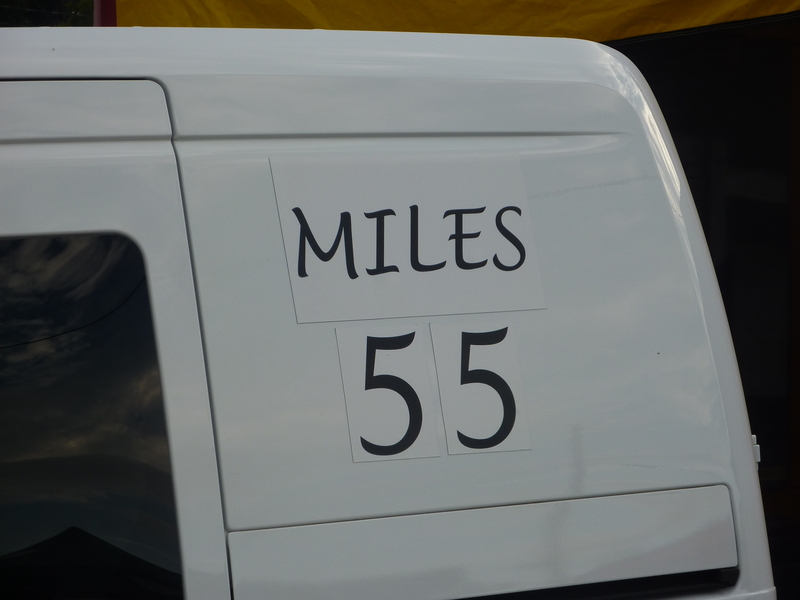 Today, to celebrate my birthday and as a challenge to myself, I will run 56 miles. Yes, you read that right. 56 miles in one day. 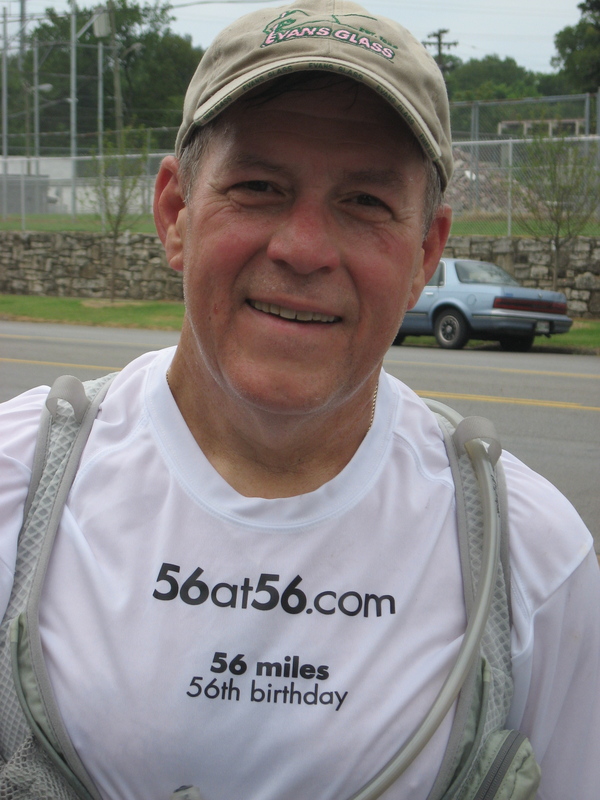 Two marathons in a row, plus a few extra miles to round up to my age. I call it my Big, Hairy Audacious Goal (BHAG) for 2010. This event is not only a challenge but a way to raise money and awareness for a worthy cause: The Salama Institute. 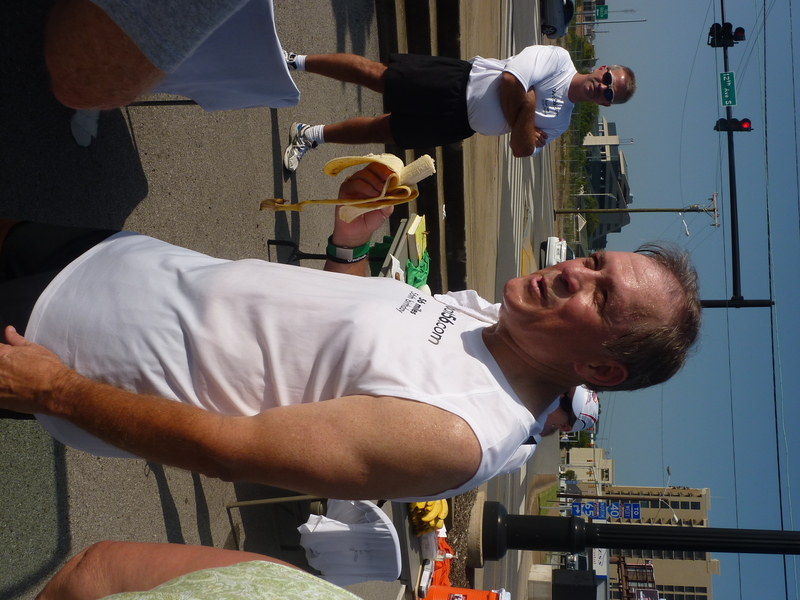 On this site, you’ll discover more about why I’m running, what I’m doing to prepare for the big day, and what you can do to help me. You can even run part of it with me. Take a look at me on Channel 4 with Rudy Kalis and Terry Bulger! Click here. Interested in running with me? 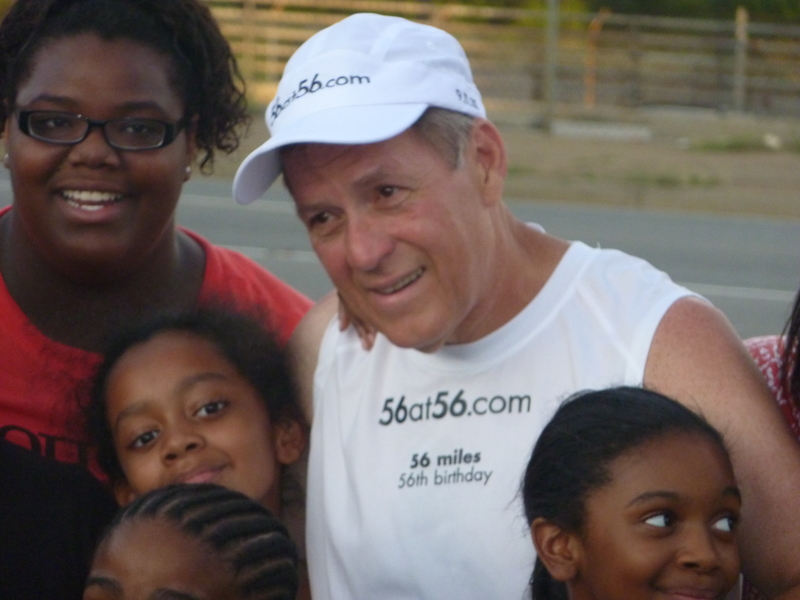 Check out the “Run With Me” section on this site. Ready to contribute now? Hit the “Donate Now” button on the right-hand side of this page to donate safely and securely online. Want to make a pledge now and pay later? Click here to go to a secure pledge form. 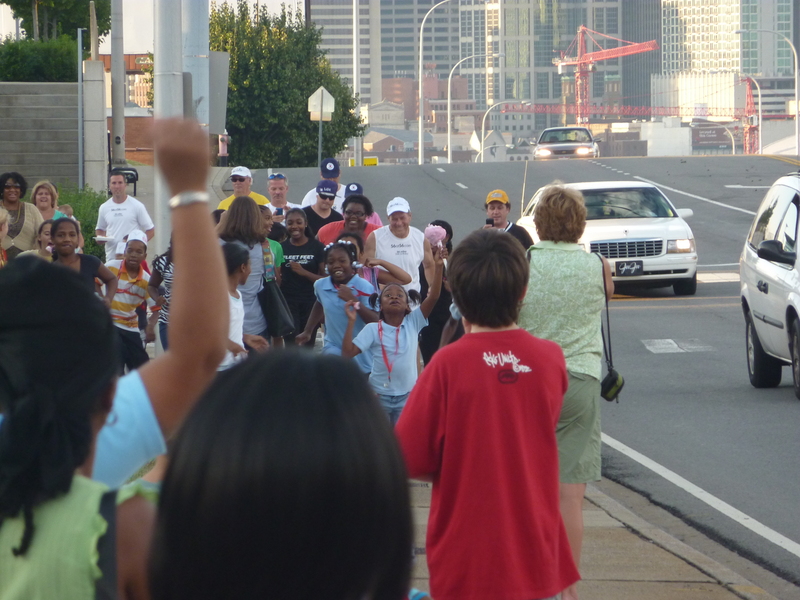 Come out to the finish line event at the Salama Institute on September 11 from 3:30-7 p.m.